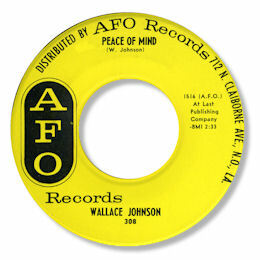 Wallace Johnson was born in Napoleonville, LA on 8th October 1937 and was interested in music from an early age. After National Service he led a small doo wop group in Thibodaux before trying his hand in the Big Easy. 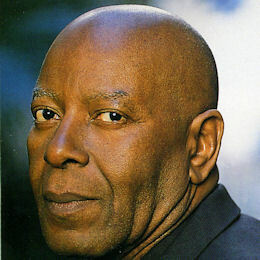 He was introduced to the recording studio by Harold Battiste who cut him for the independent AFO co-operative. Of the four sides only two were ever released on 45 but thanks to my friend John Broven and Ace UK they are now all readily available. Although the typically complex rhythms and fine piano on "Private Eye", a sort of second verse to the Coasters "Searchin'", were as tasty as ever and the mournful waltz ballad "Peace Of Mind" was a strong contender, the stop-go swamp pop ballad A Love As True As Mine was the pick of the cuts. Just love that baritone sax and the chord changes. But for me the best 45 that Wallace ever cut is the wonderful double sider which was leased out to RCA, but produced under the direction of Mr Toussaint for Sansu productions. "I Miss You Girl" is a lovely tricky toe tapper with a really subtle touch of Crescent City funk about the rhythm. 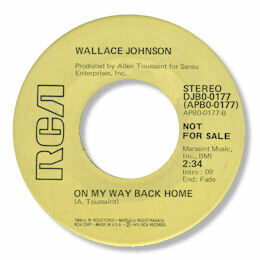 But On The Way Back Home is simply one of the most affecting deep soul sides from the city recorded in the 60s. The chord changes are great and Toussaint's paino fills are as delicious as ever and Johnson gives his most heartfelt vocal of them all. I just love the way he trades phrases with the tenor sax towards the run out groove. A track that never fails to get right inside me. In 1996 he made a very welcome to recording via the fine CD "Whoever's Thrilling You" which was arranged and produced as ever by the amazing Allen T. And although there wasn't a killer ballad there were a couple of really excellent mid paced beaters. "The Night Belongs To You" and "Something's Wrong" for example, as well as a lovely minor keyed bluesy cut Better Weather Next Time which showed off his melodic vocal tone to great effect. 1. Both sides of Wallace's AFO 45 can be found on the Ace UK CD "More Gumbo Stew" and two unissued cuts A love as true as mine and "Private Eye" from the same session on companion volumes "Still Spice Gumbo Stew" and "Gumbo Stew" respectively. 2. All four of Wallace's Sansu sides can be found on the fine Sundazed double CD "Get Low Down". 3. There are people who's opinion on such matters I value greatly think that the 45 by JJ Wallace on Booker which you can find here is really Wallace Johnson. I'm not sure but wouldn't be surprised.